Trademark Wildlife Division has been safely removing bees from our properties for over a decade. We can find the hive, remove it and fill any troubling spots or holes in exterior of your home to ensure they won’t return. We make sure that honey bees are removed and relocated. They’re never killed or sprayed with pesticides. 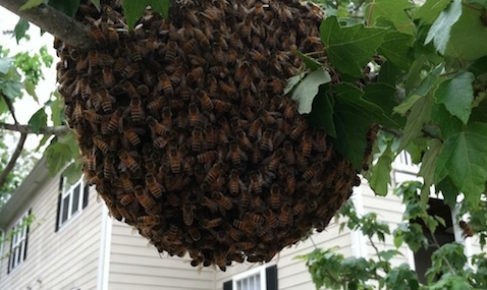 Furthermore, the bees are not disrupted and their hive is safely removed to another location. After the bees are removed all access points are repaired.